Contributing to about 17% of South Africa’s economy (according to the most recent figures of Statistics South Africa), besides for contributing to job creation, the manufacturing sector also plays a vital role in cementing trade and industry in the country. In the light of this, Opportunity takes a look at the recent Barclays/BER Purchasing Managers’ Index (PMI), which in a nutshell, indicated that bleak January PMI print signals tough conditions in SA manufacturing---and that the outlook for the SA manufacturing sector remains poor. According to the index, PMI remained below 50 for the sixth consecutive month in January, indicating that production in SA’s manufacturing sector continues to face challenging conditions. Even in the absence of electricity load-shedding, the headline figure struggled to move into expansionary territory and instead dipped 2 points to 43.5 in January from 45.5 points in December 2015. The business activity sub-index fell by a further 4.9 index points to 37.2 points in January, reflecting the worst level in current conditions since 3Q09. The BER attributes this poor reading to persistently weak demand levels and a further rise in input cost pressures. Mounting consumer headwinds including rising interest rates, falling real wage growth and dismal employment prospects highlight further weakness in domestic demand. Despite a sharp 24% depreciation in the rand (on a trade-weighted basis) over the past twelve months, weak global trade activity and rising input costs pose challenges to a faster recovery in external demand. But what exactly does all this mean for the sector, and trade and investment in southern Africa? 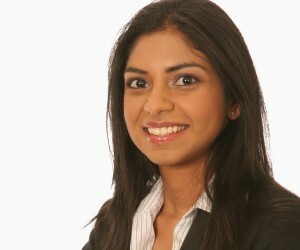 According to Sanisha Packirisamy, Economist at MMI Holdings, the South African manufacturing industry has struggled to maintain a competitive standing on the global platform, given labour unrest, skills shortages and energy supply constraints. Mounting input price pressures ranging from energy and logistic costs to rising wages have further discouraged investment in this sector. As a result, the sector has declined in relative economic share from 24% of GDP in the early 1980s to 12.5% more recently. “The structural decline in SA’s manufacturing base has been uneven in nature. Since the global financial crisis, production volumes have suffered in the furniture, clothing/footwear and basic iron/steel sectors in particular, while data from Stats SA implies that manufacturing production volumes have gained momentum in the food/beverages, petroleum/chemicals and electrical machinery divisions. 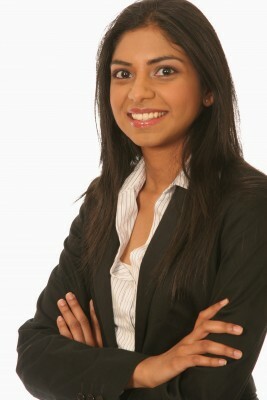 “In our view the relatively high import penetration of clothing and footwear, a deceleration in the growth of durable goods purchases (owing to an increasingly challenging consumer backdrop) and steep electricity tariff increases have stifled growth in production volumes in the furniture, clothing/footwear and basic iron and steel sectors, respectively, while increased retail activity by South African corporates in the rest of Africa have spurred activity in the manufactured food and beverages sector,” says Packirisamy. Expanding on how manufacturing impacts on trade and investment, she says uncertainty over the direction in economic policy, skills constraints and a lack of demand have left growth in fixed investment in the manufacturing industry on the back foot. Growth in manufacturing sector investment has tailed off from an average rate of close to 6.5% year-on-year between 1960 and the global financial crisis to 2.4% in the years following the crisis. As for the impact of the weak rand on manufacturers relying on revenue from exporting goods, the BER manufacturing survey pointed to low export sales volumes experienced by South African manufacturers in the fourth quarter of 2015, despite a significant sell-off in the currency. The Manufacturing Circle has claimed that soft growth conditions elsewhere and extreme currency volatility have limited the competitive benefits of a weaker domestic exchange rate. Despite a low pass through of currency weakness to inflation in recent years, currency weakness alone is not the panacea for exporters, as the short-term benefit is soon eroded through higher input costs and wages. “The year-to-date performance in manufacturing production volumes deteriorated between 2014 and 2015. During the first eleven months of 2014, growth in volumes averaged 0.2% year-on-year, slipping to an average growth rate of 0.1% during the corresponding period in 2015. “The evolution of the contributing share of manufacturing to overall economic activity in South Africa has bucked the international trend. The share of manufacturing peaked close to 25% of GDP in South Africa in the 1980s, markedly lower than the 30%---40% level observed across a number of previously developing economies before they reached developed market GDP per capita levels. Similarly, manufacturing’s share of total South African employment has fallen from 14.6% in early 2008 to 11.2% more recently,” she says. Arguably, manufacturing in South Africa needs to move away from being inwardly focused on a small domestic market and shift its attention to expanding its international footprint. South African industry can benefit from previously successful manufactured exports, for example vehicles, by expanding upon the value chain and developing complimentary products such as vehicle components which could make use of existing capital and skills. Edwards and Jenkins, in their paper The Impact of Chinese Import Penetration on the South African Manufacturing Sector, proved that around R30 billion worth in domestic production had been displaced as a result of increased Chinese import penetration during the 2000s. They went on to say that the displacement of South African manufacturing over the full period between 1992 and 2010 caused output in 2010 to be about 5% lower than it otherwise would have been. The sectors that have been the most heavily impacted by Chinese import penetration include footwear, fabrics, electronic equipment and clothing. Chinese competition has also impacted South African employment, with Edwards and Jenkins estimating job losses to the order of 145 000 between 1992 and 2010 thanks to the displacement of local production by imported goods and higher labour productivity within industries. Admittedly, South Africa could have benefited from cheaper access to capital and intermediate inputs, reducing production costs. “We view South Africa’s skills deficit as a function of the education deficit. Resolving South Africa’s education shortfall remains a long-term project and as such the country may need to create an environment conducive to encouraging the inward flow of foreign skills to close the gap in the near term. “Other shorter-term incentives include taking advantage of the National Skills Fund, under which the Department of Trade and Industry (dti) has trained 970 new apprentices as part of the National Tooling Initiative. The dti points to the success of three significant institutional developments (including the National Skills Development Strategy, the establishment of the Human Resource Development Council of SA and the National Skills Accord which has come a long way in funding artisan development. “The dti has further highlighted the fact that training curricula, lecturer capacity, equipment and training facilities have lagged behind production and technological changes. By fixing this, we could effectively remove the constraint to the scale and quality of apprentices entering the employment pipeline,” according to Packirisamy. But what will manufacturers in South Africa need to do to become more efficient and competitive? Packirisamy says electricity and water price increases are unavoidable, but this could drive further innovation and efficiency in the use of these scarce resources. For highly energy-intensive industries, including metal manufacturing, cement and chemicals, electricity co-generation options could be an option. Depoliticising labour remains a challenge in the South African manufacturing industry and despite an increase in mechanisation, labour will remain a key stakeholder at the bargaining table. Manufacturers need to actively engage with labour to prevent damaging strikes and to foster an environment to promote competitiveness in the sector. “Both the BER manufacturing survey and the Purchasing Managers’ Index points to dismal hiring prospects in the manufacturing industry as weak demand, policy uncertainty and a lack of skills discourages further investment in labour and capital in the industry,” Packirisamy concludes.